Home Why the Blue Ridge Conservation Alliance? Why the Blue Ridge Conservation Alliance? The past decade has witnessed a variety of large-scale infrastructure projects being proposed over or near the Blue Ridge Mountains. These projects–such as electric transmission lines, gas transmission lines, roads, and rail facilities–are regional in nature, cutting across jurisdictions and through communities. These projects are frequently at odds with the conservation mission of our organizations, threatening the scenic beauty of the Blue Ridge, the integrity of its natural resources, and/or the rural landscape that provides context for understanding its historical and cultural resources. Establishing a framework for collaboration and communication, the Blue Ridge Conservation Alliance can be the “force multiplier” essential for mounting an effective response to regional threats to the Blue Ridge. Standing together, member organizations can marshal the resources needed to (1) fully assess impact of regional threats, like large scale infrastructure proposals; (2) offer credible solutions to threats associated with such projects; and (3) build the advocacy network needed to ensure that there is broad public support for the Coalition’s solutions and larger vision for the Blue Ridge. We envision the Blue Ridge Conservation Alliance representing a diversity of conservation interests, organizations, and communities. Such diversity is essential, as the challenges to and opportunities for preserving the Blue Ridge require bringing together a wide array of perspectives, knowledge, experiences, and capabilities. We see diversity as a strength. To capitalize on the diversity we envision, an important function of the Blue Ridge Conservation Alliance will be to create an information exchange promoting communication about local issues, opportunities, and efforts being undertaken by member organizations. By connecting with allied organizations, the Alliance can help organizations develop new relationships, find new constituencies, gain access to the skills and experiences of other member organizations, and discover new partners to pursue mission related projects. In the long term, effective preservation of the Blue Ridge Mountains in our region requires a broad based public consensus that the Blue Ridge is a special place worthy of protection. But creating that consensus ? and communicating with the public at large the the features–natural, scenic, cultural—that we stand to lose, is challenging. We believe one of the most effective methods for raising public awareness is simply to tell the stories that reflect the Blue Ridge’s natural history and cultural heritage , whether they come from our organizations or from others. Storytelling makes the faces, places, and vistas of the Blue Ridge real and tangible, instilling that visceral connection to place that spurs respect and appreciation. At its best, telling the stories of the Blue Ridge can help define in the public’s mind the Blue Ridge as an iconic American landscape possessing a compelling combination of natural resources, recreational opportunities, cultural heritage, and scenic beauty worthy of protection and conservation. 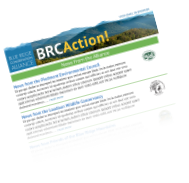 The Blue Ridge Conservation Alliance can function as an important communications outlet for member organizations to tell the stories of the Blue Ridge. We anticipate that the topics of these stories will be as diverse as the mission statements of the member organizations. Stories could include oral histories that profile a local community or family. Or they might feature recent conservation successes or an upcoming event. Regardless of the story topics, the distribution of the stories will create opportunities for people–whether residents, visitors, or policymakers–to make a personal connection to the mountains that can inspire a new or renewed dedication to the conservation of their resources. The Blue Ridge in our region covers six counties in two states. This multi-jurisdictional circumstance results in a patchwork of plans and policies–primarily in the form of local land use planning and zoning policies–to guide the protection of the Blue Ridge and its resources. The purpose, specific provisions, and effectiveness of these local plans and policies vary widely, leaving an inconsistent regulatory framework that poses a significant threat to this vulnerable area of the Blue Ridge. To address the fractured nature of current plans and policies, the Blue Ridge Conservation Alliance can play an essential role in defining a regional approach and/or perspective towards the conservation of the Blue Ridge. Created through consensus among member organizations, regional-scale conservation goals and objectives can be articulated that reflect the reality that many of the resources worthy of protection in the Blue Ridge–natural, scenic, and historic–do not respect today’s political boundaries. Under the auspices of the Alliance, member organizations can leverage the power of collective action to translate a regional-scale vision, goals, and objectives into action. Examples include pursuing the creation of a multi-jurisdictional conservation management plan and/or a policy platform to help advocate for local, state, or federal policies that support a regional approach to Blue Ridge Mountain conservation. The foundation for such a regional approach will be the Alliance’s Blue Ridge Declaration of Stewardship Principles.